The Dogs Queensland Ask-A-Breeder Stage connected Dog lovers with some of Australia’s most knowledgeable breeders. Any visitor interested in a particular breed of Dog could visit the Ask-A-Breeders stage to hear Breed Information Talks presented by experts from Dogs QLD Breed Clubs at the 2018 Brisbane Dog Lovers Show. You could hear from registered breeders, experts on their particular breed of Dog, and be provided with all the information you need to make the right decision on your next pooch. In these highly educational talks, experts highlighted a range of important topics including temperament, grooming, exercise, nutrition and most importantly the Dog’s suitability to the lifestyle of their owner. There is a lot to carefully consider when deciding on a Dog and each breed is so different so the numerous talks over the two days were highly valuable for anyone looking for their next Dog. We thank each and every Dog lover that came along and learnt more about their new canine friend. Visit the Belgian Shepherd exhibitor page. Visit the Poodle Club exhibitor page. Visit the Sporting Terrier Club exhibitor page. Visit the American Staffordshire Terrier Club exhibitor page. 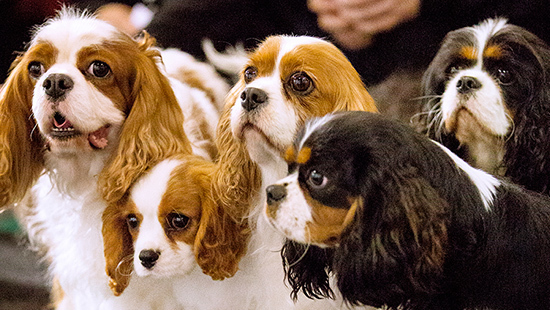 Visit the Cavalier King Charles Spaniel Club exhibitor page. Visit the Bernese Mountain Dog Club exhibitor page. Visit the Rarer Gundog Breed exhibitor page. Visit the Beagle Club exhibitor page. Visit the Griffon Club exhibitor page. Visit the Shetland Sheepdog Club exhibitor page. Visit the Rhodesian Ridgeback Club exhibitor page. Visit the Basenji Breed Network exhibitor page. Visit the Staffordshire Bull Terrier Club exhibitor page. Visit the QLD Bulldog Club exhibitor page. Visit the Rottweiler Club exhibitor page. Visit the St Bernard Club exhibitor page. Visit the Norwegian Elkhound exhibitor page. Visit the Tibetan Spaniel Club exhibitor page.